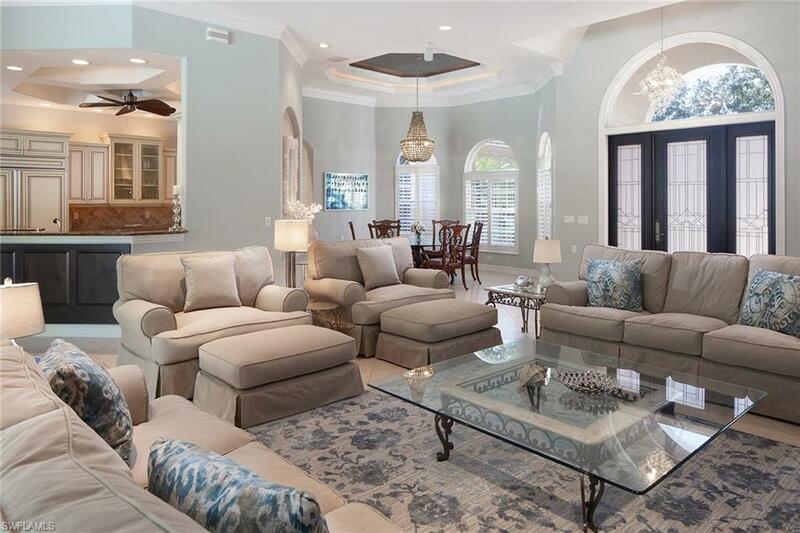 12243 Colliers Reserve Dr, Naples, FL 34110 (MLS #218063226) :: Clausen Properties, Inc.
Light and bright great room floor plan in the heart of Collier's Reserve. New roof & New Lanai cage to be installed 2019. This elegant beautifully finished home offers fabulous finishes throughout, including rich woodwork, gorgeous ceiling treatments, cove lighting, state-of-the-art built-ins and lighting, 20-inch porcelain tile, newer carpet in bedrooms, terrific closet built-ins, gorgeous glazed kitchen, and so much more. Outdoor space is fantastic, offering the ultimate in privacy and lush tropical landscaping around large heated pool and spa with loads of covered space, negative edge sliders, superb outdoor kitchen and more. This lot is one-of-a-kind with its position of privacy no homes in view from front, back or rear of home. The massive master suite and bath complete the package for luxury living! 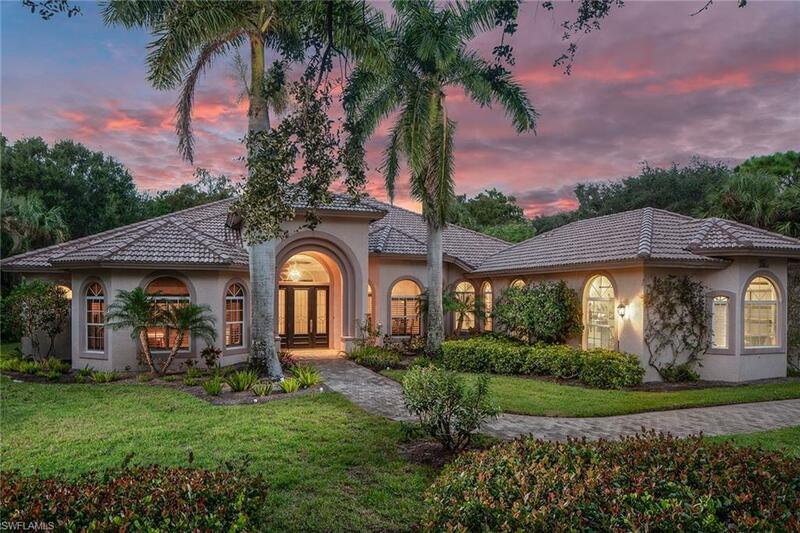 Collier's Reserve offers unparalleled natural beauty and wildlife, championship Arthur Hill designed golf, very active tennis and fitness, and fabulous state-of-the-art fitness center and programs. 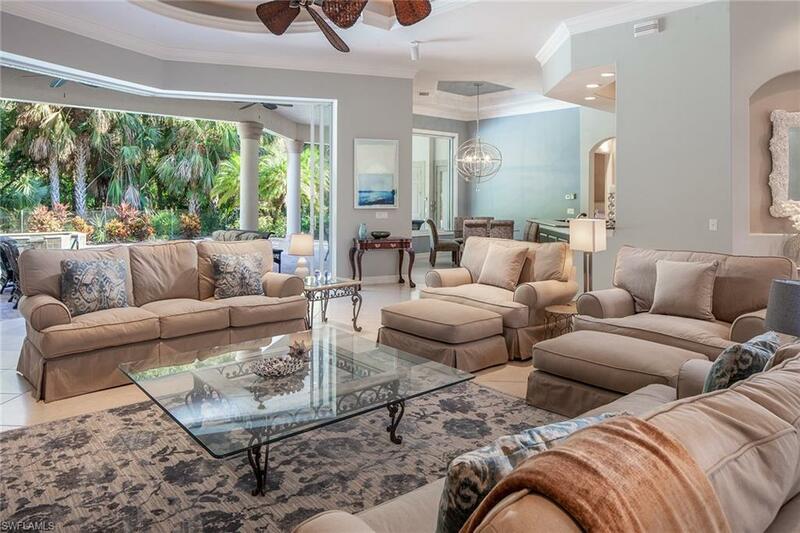 Riverfront dining and a gorgeous club all make this one of the most sought-after communities in Naples, only 2 miles to the beach.